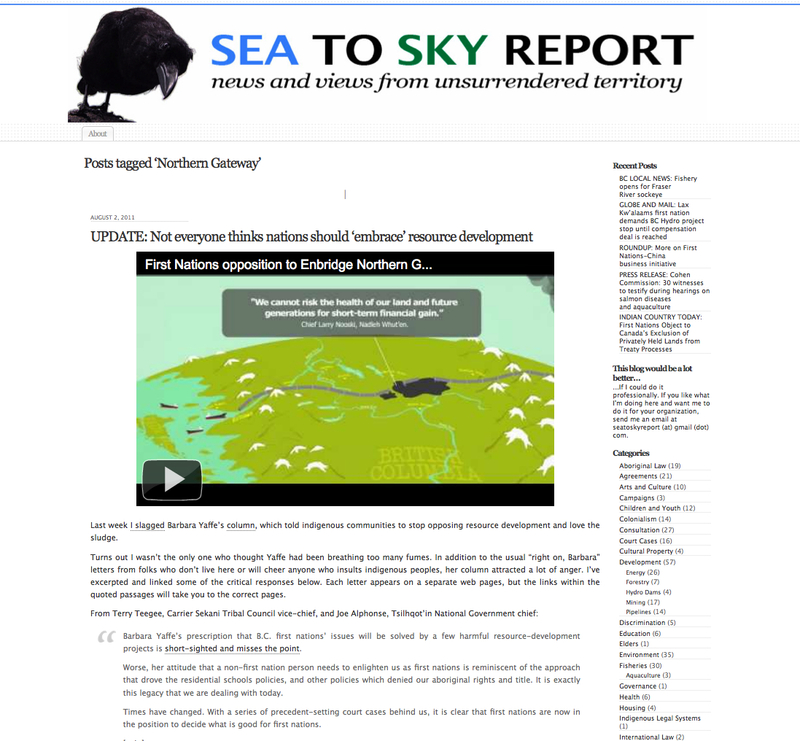 The Sea To Sky Report blog is an excellent resource on Northern Gateway issues featuring a run down of media activity on the topic in recent weeks. Chris McLeod, a UVIC Indigenous Governance student, collects key quotes from people and articles about Indigenous issues across the province to give readers a taste of what’s happening in the media. Check out the northern-gateway posts here! This entry was posted in News by haidagwaiicoast. Bookmark the permalink.